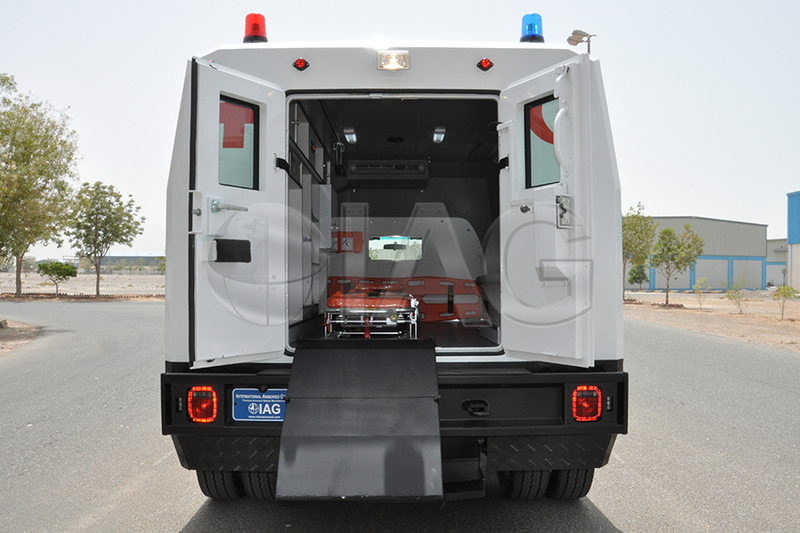 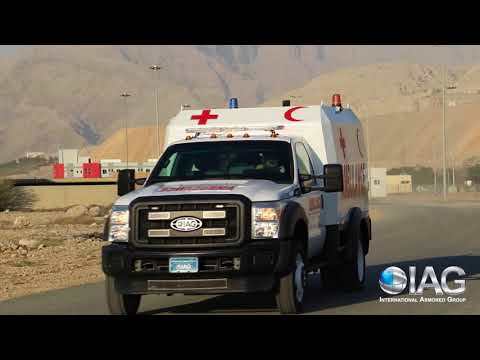 IAG offers a wide range of armored ambulances. 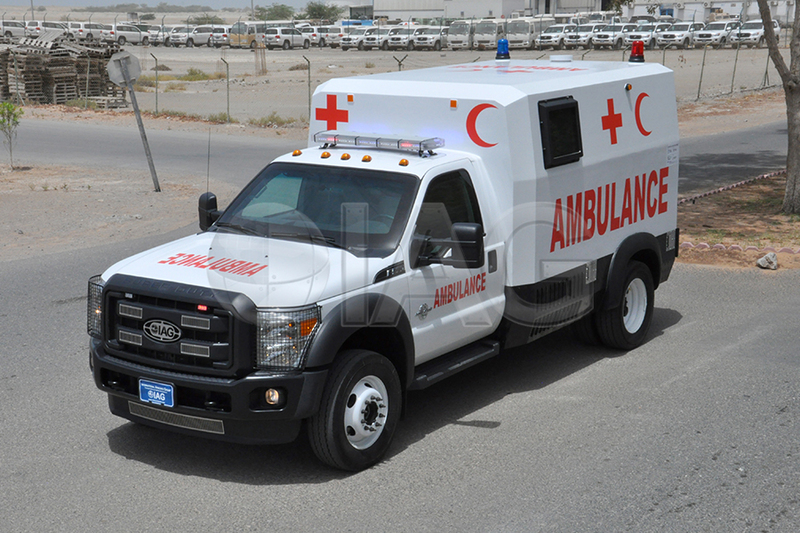 One of the most popular model is the Ford F550 Armored Ambulance. 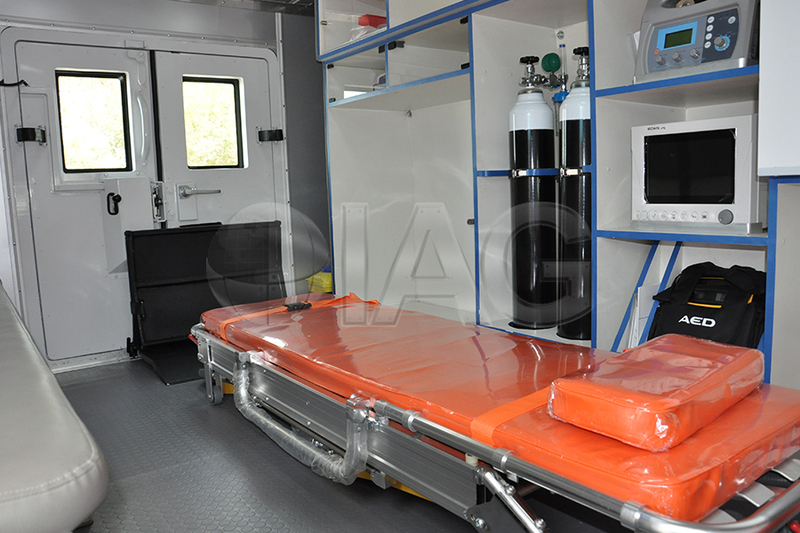 Based on a the heavy duty Ford F-F550 truck chassis , this ambulance offers ample room for a full size medical stretcher, medical attendant bench and captain chair, storage cabinets for medical equipment, supplies and oxygen tanks. 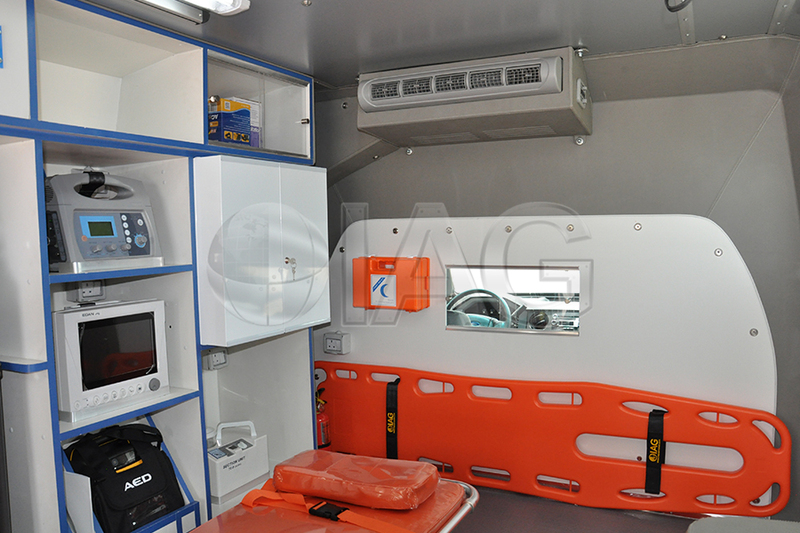 It can also be outfitted with a wash basin, electrical power for both 120V and 240V and much more. 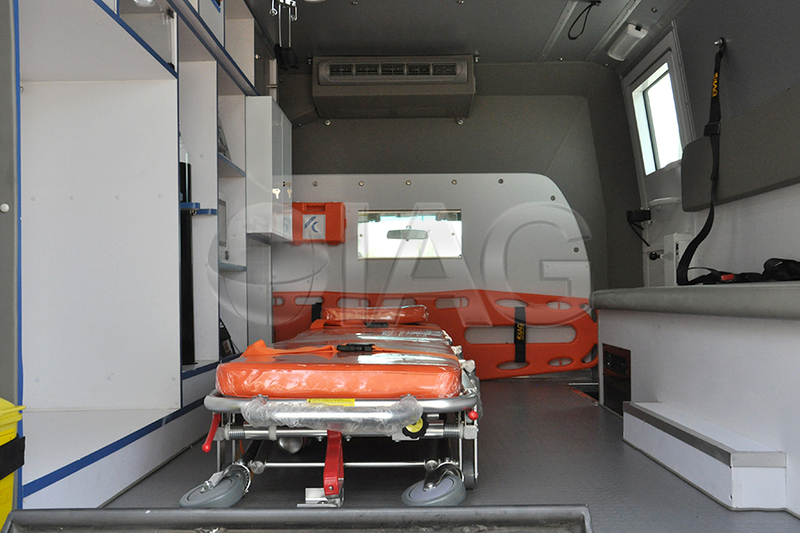 The several wheelbase options allow for different sizes of ambulance rear compartments. 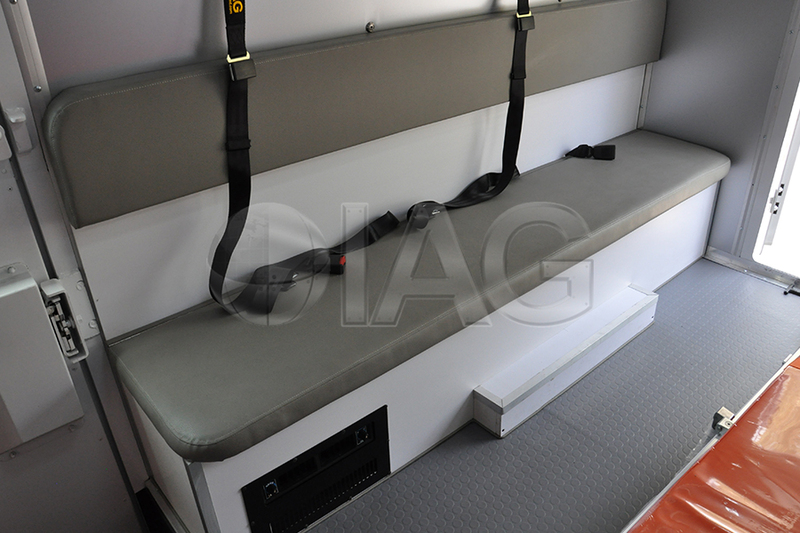 The rear compartment is also equipped with a separate auxiliary climate control system. 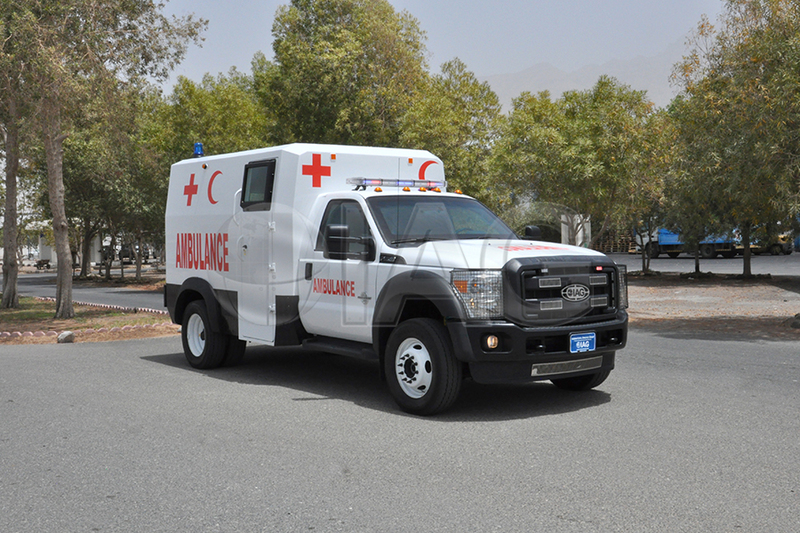 The F550 armored ambulance is available in both diesel and petrol and in LHD and RHD configurations.